Next Monday, the Moon shall completely block the view of the Sun for roughly 2 1/2 minutes. This event will be viewed by millions of people wearing specially-designed safety glasses. Inevitably, the short-term event will inspire certain children to life-long careers studying the heavens. Short-term meaningful encounters can change the way we see the world. Like the special lenses designed to view an eclipse, short-term meaningful encounters with people offer new enduring ways to view life and the universe. One of my first Sunday school teachers was Dr. Henry “Fritz” Schaefer III. I was only in his classes a short while as I was about to graduate. Nevertheless, Schaefer’s teachings had a life-changing impact upon me. Dr. Schaefer is a quantum computational chemist at the University of Georgia and he has been nominated for the Nobel Prize about five times. In Sunday school and in extracurricular lectures, Dr. Schaefer spoke primarily about the relation between science and faith and about how God’s word and God’s world correspond. My short-term encounters with Dr. Schaefer led to long-lasting impact. Short-term encounters are a normal part of every day life. We impact people whether we intend to or not. So, today, be intentional in your encounters with people. You have the ability to “be the unforgettable eclipse” to those around you. What can you do to inspire them today? To the flip side, we often live our life distracted. 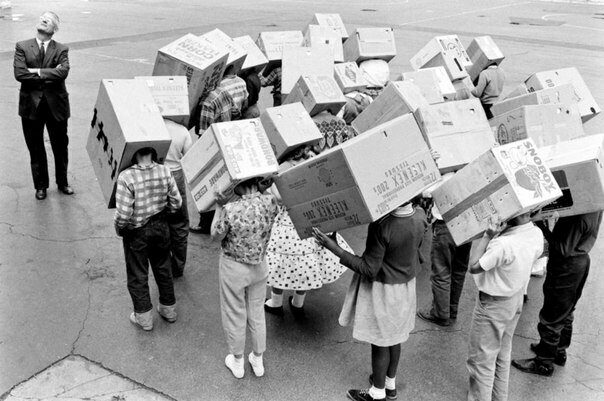 Phones, work, kids, and other responsibilities keep us from seeing what is around us. Look for God today. He is doing inspiring things around us all the time. Be amazed and be amazing today.